A Kingsway title sweep! Both individually and team wise. 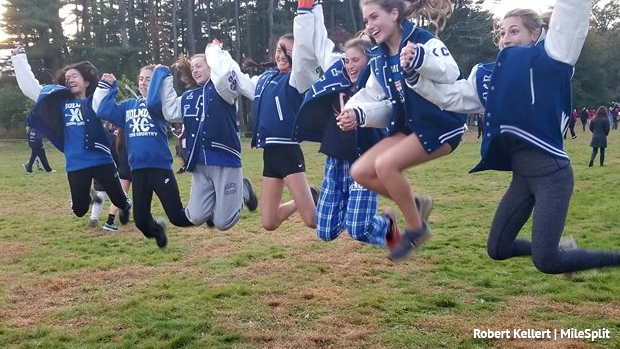 The girls had a perfect score with 15 points after their one through five finish led by sophomore Ashlynne Burke in first place at 19:06. Lauren Krott, Sydney Watts, Allie Pierontoni, and Emily Pierontoni all part of that perfect top five finish splitting 57 seconds and averaging 19:38. 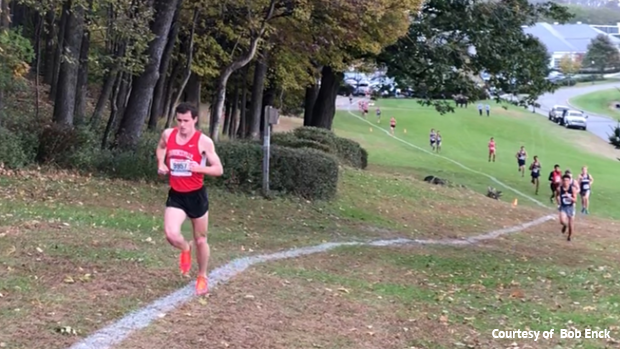 Daniel Reynolds of Kingsway wins his first county title running 16:20, his teammates didn't waste his one card placing 1-4-6-7-10 for 28 points and the win. Kingsway averaged 16:36 and split a mere 25 seconds! After being delayed due to weather this divisional battle finally took place on Monday. Toms River North winning the team score at 27 points, Javid Ridgeway winning the race at 16:11. Jade Tricomy of Toms River South won the girls race running 18:56, and the Toms River North girls made it a sweep for the team titles with their 43 point victory over Jackson Memorial at 52 and Toms River South 53. BOTH course records went down at this meet, the new girls record going to Abby Loveys of Randolph who has been on a tear this year. She ran 17:08 to take off 16 seconds from the previous standard. Jack Stanley of Mendham set the boys running 15:10! Mendham also sweeps the boys and girls team titles, the boys scoring 38 points averaging 15:56 and the girls 71 points averaging 19:45 led by freshman Madison Orlins in fifth at 18:52. 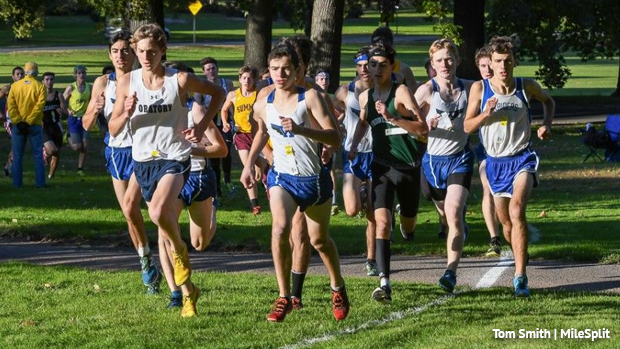 In the Varsity A race Robert Enck of The Lawrenceville School leads the meet overall running 16:11, his squad would finish second to Pingry School 36 to 54. Pingry's effort was led by a 2-3 finish by Henry Wood and Thomas Drzik. Pingry also led the meet merge with 43 points combining the A and B races. 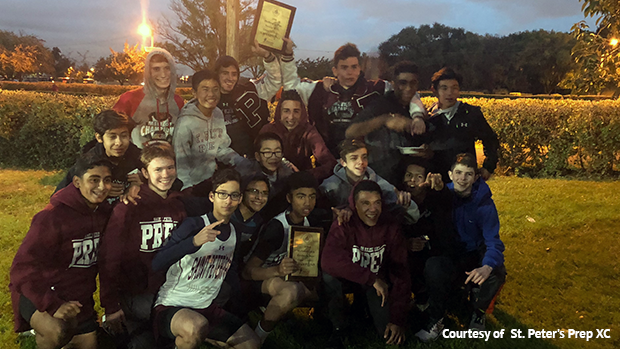 Varsity B's win went to Charlie Koenig of Montclair Kimberley Academy running 17:07, they would finish second as a team to Newark Academy 29 to 64. On the girls side an up and coming star in the state won the girls A title, freshman Charlotte Bednar of Hun School of Princeton ran 17:53. She's coming off a victory at Mercer County and also won the Jerry Hart Invite earlier this season. Defending champ Nicole Vanasse finished second running 18:29, she had won Skyland Conference the week earlier. The Lawrenceville School girls won the A title with 36 points led by Mayeli Santos in fourth at 20:38. In the B race Sarah Hanifin of Villa Walsh Academy led her team to victory winning the race individually with a 19:11, her squad scored 44 points for the title. Two sweeps one week? That's right Kingsway is taking titles left and right. After sweeping Gloucester County two days prior the Kingsway boys and girls win both Tri County Conference Showcase Championships. Lauren Krott leading the girls squad this time with the race win at 18:50. The boys winning squad saw their top scorer as Stone Caraccio in third at 15:54. Kingsway didn't achieve the individual sweep this time, as the boys race was won by Sebastien Reed of Pitman at 15:42, who was sixth at this meet last year as a sophomore. Delsea's Colin Kane, another strong South Jersey talent, was second running 15:51. Westfield swept the team titles, Jerika Lufrano of Union Catholic surprised herself and Maximus Russo of Oratory made history at Wednesday's 81st Union County Championships at Warinanco Park in Elizabeth. Full recap linked below along with a photo album by Tom Smith. Kevin Antczak of Mainland Regional continues his great fall season adding his third win and a Cape Atlantic League title running 15:16. His first place finish started an absolute battle in the team scores with Ocean City. The team title would come down to one point with the winner Ocean City scoring 41 to Mainland's 42 points. Ocean City split just 18 seconds between their five which was led by Gavyn Fox in third at 15:50. On the girls side Olivia Shafer of Egg Harbor Twp took the individual title running 18:00. Ocean City girls made it a school title sweep winning with 47 points. Alexa Palmieri leading her team in second at 18:05. The Ocean City girls have now led four meets as a team this season including the SJ Shootout, Osprey XC Invite, Cape May County, and now the Cape Atlantic League. There were three first time winners! 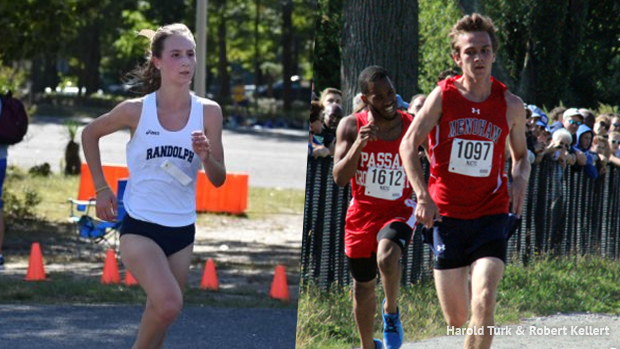 Devin Hart ran 14:47 for second all-time at Ocean County Park, Amanda Stone was the first Shore Conference winner in Monmouth Regional school history, the Holmdel girls captured their first Conference XC title, and Christian Brothers Academy made it 12 straight! Full recap linked below, you can watch those races in that article as well. 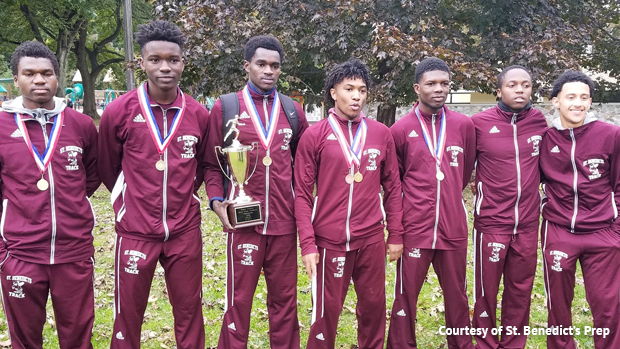 The Montclair girls celebrated its first title in more than two decades, St. Benedict's Prep and Anna Schaller of Montclair Kimberley repeated as champs, and Ramsey Little of Millburn captured his first title at Friday's Essex County Championships at Brookdale Park in Bloomfield. Full recap linked below.